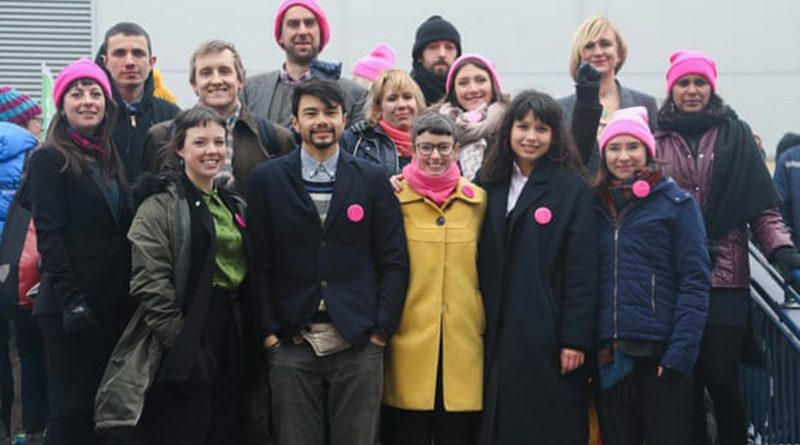 We the undersigned, former colleagues of Dr. Emma Hughes, of the “Stansted 15”, express our deep disappointment and utter disagreement with the convictions against the human rights activists under a terror-related charge after peacefully stopping a secretive deportation flight from leaving. Dr. Hughes and her colleagues acted out of conscience to highlight the inhumane treatment of families and to save lives. The use of the law “endangering an aerodrome” is grossly disproportionate and a real threat to every citizen’s right to protest. Dr. Hughes, a committed and respected colleague from Cardiff University School of Journalism, Media and Culture, made an informed choice and took peaceful action to protect vulnerable lives. The potential prison sentences the Stansted 15 face are unjust. 11 of the people on the flight have subsequently won their appeals to remain in the UK. The ‘deport first, appeal later’ policy the UK government practised at the time has been found to be illegal by the Supreme Court. The political philosopher Antonio Gramsci, imprisoned by Mussolini’s fascist regime, said “What comes to pass does so not so much because a few people want it to happen, as because the mass of citizens abdicate their responsibility and let things be.” It is because of the right to protest, the right of governments to be held to account by its citizens that we live in a modern democracy. We call for the Stansted 15 to be spared prison and for the rights of citizens to peacefully protest and defend human rights.